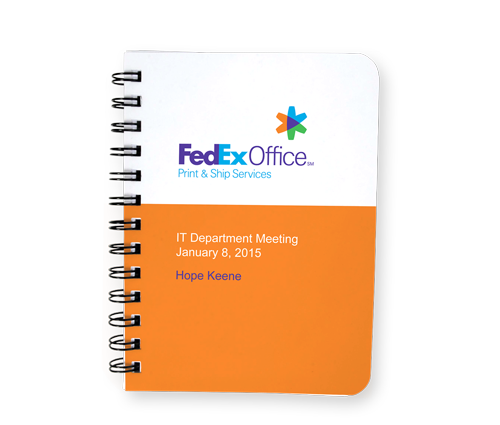 Your message will shine for a long time on these notebooks that feature a thick gloss full-color laminated protective cover that is much more durable than the average flimsy paper wrap. 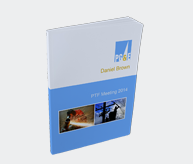 You can personalize the front and the inside front cover for each person at your presentation, meeting or other event. USA Made. 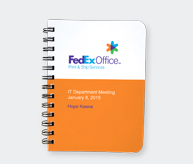 Go beyond a simple logo and decorate the entire front of these soft cover journals with your colors, text and images, and personalize each unit. 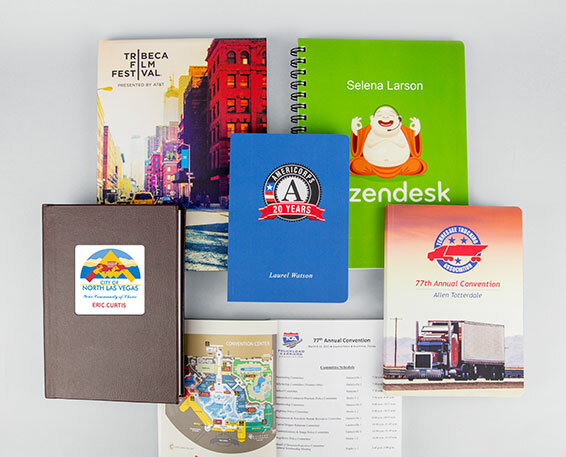 Contact us and we will help you add up to 12 full color tip-in pages that include agendas, maps, contact information, etc. USA Made. These perfect bound journals can not only be individually personalized on the front, but you can print on the back as well. 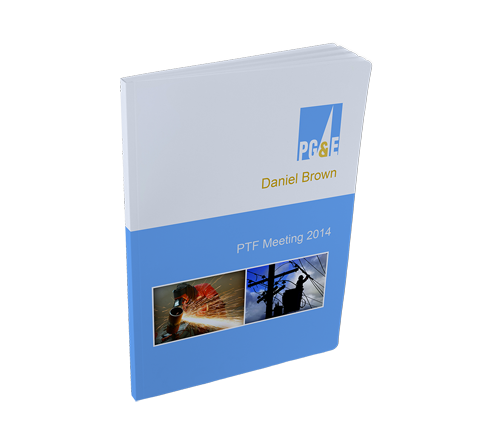 Need even more customized pages? 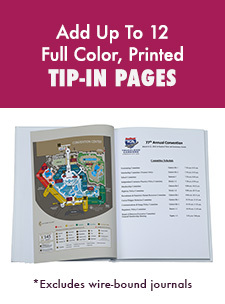 Contact us and we will help you add up to 12 full color tip-in pages that include agendas, maps, contact information, etc. USA Made.